Employees are regarded as the company’s greatest asset as they directly proportionate to company’s growth and expansion in the market. If a company wants to retain their invaluable assets, they have to come up with strong strategies fulfilling the employee satisfaction, desires, and expectations. The company should constantly provide the employee with encouragement, participation or engagement, stimulus, making the employee feel that they are an integral part of the company and the company care for their employees. 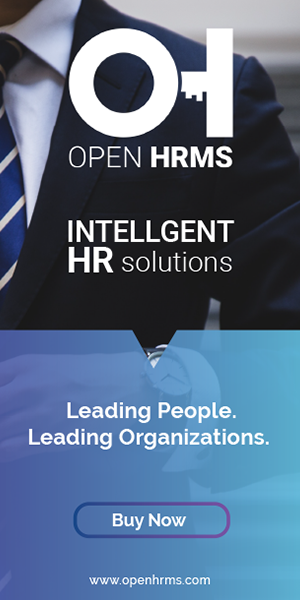 The importance of employee management software is rapidly increasing in the HR Market. There is a significant rise in the adoption of employee management software in the human resource sector for attracting and retaining the right talents within the company. In modern business, the role of employee management software is much more crucial as there comprise a heterogeneous and diversified workforce running the company or business. Modern businesses often come in conglomerated fashions, having multiple office setups or workstations. Therefore managing the employees, giving then timely attention and encouragement under the piles of workloads are difficult to execute. It often becomes challenging and strenuous for an HR manager to look after or care the large employee community in person. Here comes the role of technology, an efficient employee management software for smartly utilizing the company assets i.e. Employees to their full potential. The implementation of employee management software has numerous benefits to derive. Examples include the elimination of time constraints via automating every task, managing the workforce challenges and also timely giving the attention towards any kind of employee dissatisfaction. Robust database for storing employee records. An employee management software comes with a strong and highly efficient database that executes a complete, transparent and quick search over the critical data pertaining to employees like their personal details, banking. Emergency contacts, leave management and more. The database holds the crucial data over both former and current employees of an organization. This centralized and robust database help the organization to retrieve employee information anytime, anywhere by anyone (condition: access permission). Totally eliminates the paper works. An integrated employee management software comes intuitive allowing the organization employees to request their time off, submit their timesheets and other documentation. An employee management software also comes with easy access to the employee for editing, inserting or deleting any information, processing their requests and automatic generation of approval submissions, finally reducing the amount of paperwork to be carried by the HR. Real-time tracking of Employee Attendance. An employee management software comes with an efficient tracking facility of the absentees and work hours of an employee. This real-time tracing facilitates for keeping a record of employee attendance, give warnings to the employees, and thus bring a qualitative change in the attitude of the business workforce. The real-time tracking of employees thus helps in shaping the employees to be more sensible, responsible and uphold the integrity and punctuality in their work portfolio. Real-Time Performance Management is made simpler, seamless and hassles free with employee management software. An efficient employee management software acts simple and engaging in action giving real-time performance reviews of the employee for rewarding, real-time feedbacks constantly engaging the employee in healthy relations and more functions like Ongoing Check-Ins, Recognitions and every kind of Social Learning. A smart employee management software allows the managers to provide the employees their timely rewards upon the performances showcased. It also helps the employees in accessing their total reward statement keeping them motivated and driven. An efficient employee management software helps in accurately calculating and processing the payroll of employees upon the hours they have worked in the organization. As attendance and working hours are timely recorded in the database it becomes seamless to process the payroll of the employee in an organization. An employee management software in modern business also helps in retrieving the company assets while an employee resigns or leave his position. An HR manager can track the respective assets that were provided to the particular employee he/she joined the organization. Management of Employee Work Shifts. In the modern business, the work culture is not like the conventional way. There comes the role of working shifts when the company caters to international clients or audience. Therefore putting the employees in rotational shifts seams tedious if there is no software to support. There must be a tool to schedule the staff with particular shifts, eliminate the shift conflicts if any and timely notify the employees their shift timing making it convenient and progressive. An efficient employee management software can take care of these timely applications of shifts among employees ensuring a transparent, smooth and efficient workflow. As the employee management software constantly updates itself it is very easy to trace and weigh the company progress. Unlike the conventional way, you need not sit with the piles of paper featuring the last draws or company revenues/ achievements. The database is efficient in reporting the statistics of company growth. Giving you the review of company performance. It thus helps the company to look into the statistics, enabling the manager or corresponding authority to accurately check and do the needful. Benefits of Employee Management software in Business. > Timely feedback to employees on their performance. > Better control over the employee work management. > Real-time performance appraisals; messaging systems. > Reminding goals and constantly motivating the employees. > Elimination of micromanagement from managers; enhancing independent working. > Better accessibility to do things; transparent communication. > Ruling out the time constraints, clashing schedules, and workloads. > Enhancing healthy relation between the employee and management. > Productive working towards achieving the company goals. Hey there just wanted to give you a quick heads up. The words in your post seem to be running off the screen in Chrome. I'm not sure if this is a format issue or something to do with web browser compatibility but I figured I'd post to let you know. The design and style look great though! Hope you get the problem resolved soon. Many thanks, I've been browsing online more than three hours lately, but I by no means found any interesting article like yours. It is pretty worth sufficient for me. Personally, if all website owners and bloggers made the excellent content material as you did, the internet can be a lot more helpful than ever before. Hi there I am Kavin, it's my first occasion to commenting anywhere when I read this post I thought I could also make comment due to this sensible piece of writing.